The temperature of your home can have a huge impact on how comfortable you feel within those four walls. A room too hot will leave you feeling sweaty and tired, but a room too cold could end up with illness and constant shudders. The majority of homes will have a system in place in order to keep temperatures under control, and with the help from only the very best smart thermostats, the homeowner gets full control of how things run. Now, finding the best smart thermostat can be a pretty tedious task, as there are several important features to look out for and hundreds of different designs to choose from. To make the process slightly easier for you, we have tried and tested the best smart thermostats around and put them together in this awesome guide; you won’t have to look for the perfect product any further than here. We’ve got it all covered on this buying guide, from basic thermostats to thermostats which have it all – you’ll be sure to have an epic new one in no time. Our best choice product on this buying guide comes from no other than the ecobee EB-STATE3LT-02 3 Lite Smart Thermostat. This best smart thermostatcomes with a sleek and matte black exterior, making it the most perfect subtle addition to any home. We aren’t just crazy about the exterior, either, as this thermostat has a range of features which make living in the modern day easier than ever before. Featuring a mobile app for on-the-go tweaks and a smart home integration system, this smart home device will fit right in your home after a quick and easy 30-minute self-installation process. With an easy to read, minimalistic display and room sensors available to be purchased alongside this thermostat, your home will be running smoother than ever before. The greatness doesn’t stop there, either. 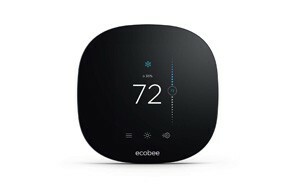 The brand ecobee is all about efficiency, meaning you can be guaranteed that you’ll make your money back in two years as well as saving up to 23% annually on heating or cooling costs. Don’t say we never spoil you! If you’re looking for the best value digital thermostat which has all the same features as a high-end one, then we’d suggest checking out the Emerson Sensi Wi-Fi Thermostat for Smart Home. The simple outer of this thermostat might have you fooled, but a quick look at everything it can do will be sure to give you a huge boost of confidence in this design. With help from the Sensi mobile app, you will have clear instructions on how to install the programmable thermostat wifi safely and quickly, without the need of a C-wire. This means that this thermostat is going to be accessible in all home builds, allowing homeowners all over the country to enjoy this geofence enabled, smart home integration, app-controlled device. 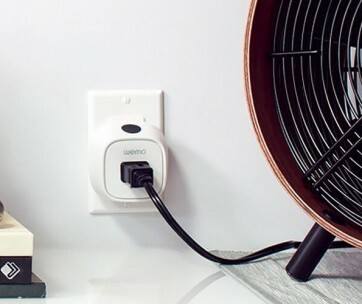 Be sure to also check out our list of the best smart plugs for more great items like this. Our guide to the best smart thermostats would not be complete without the mentioning of Honeywell. Honeywell has been a well-respected brand in this industry for years, so whether you’re looking for a wireless thermostat or something sturdier; they’ll be sure to have a product suited for you. As we believe that you should have the smoothest thermostat-buying process possible, it only felt right to present you with the Honeywell RCHT8612WF Home T5+ Smart Thermostat. This energy star certified and reasonably affordable thermostat will be sure to keep your home at the right temperature, thanks to its 7-day scheduling feature and geofence location technology. You might think that wi-fi thermostats are out of the question if you don’t have a C-wire in your home, but thanks to Honeywell, this is no longer an issue! This thermostat comes with its very own low-voltage alternative so that you can enjoy all the benefits without needing a refurbishment. Our handy guide to the best smart locks features more great products like this. If your eyesight isn’t quite up to scratch or you just can’t be bothered to trek across the room to read the temperature, then the Orbit 83521 Clear Comfort Programmable Thermostat will be a great guilt-free addition to your home. The contemporary design of the screen means that the display is large enough to view across the room, and the backlight makes this easy even when the lights are dimmed. As well as a practical display, the Orbit has verysmart heating controls which allow you to reduce programming control times and have a streamlined daily schedule, instead. This is done through a clever ‘copy and paste’ feature, which remembers past programming and schedules so that you don’t have to make constant tweaks throughout the week. The Orbit will take into account the times you set on the schedule and will ensure that the temperature of the room will be at your desired temperature at the exact right time. The Orbit 83521 certainly wouldn’t be late to any party… Love this smart devices? 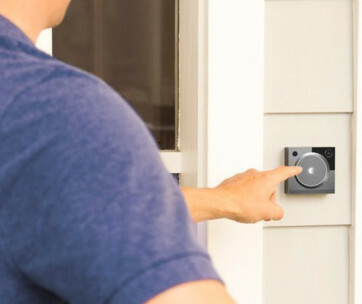 Check out our review of the best smart doorbells for our top picks. It can be hard to find the right wifi thermostat. Wi-Fi might be a great feature to have, but it suddenly leaves room for a lot of troubles that didn’t exist before wi-fi was introduced. This is why it is so important to ensure that the wi-fi thermostat you purchase will guarantee strong connectivity and seamless experience. And, thanks to the Lux Products GEO-BL 7-Day Programmable Wi-Fi Thermostat, you can get just that! This incredibly attractive thermostat is certainly fitting for the modern age, featuring a control-wheel and app for on-the-go controlling. Not only this, but you have pure freedom with how you install this thermostat, as it can be mounted both horizontally and vertically. Say good-bye to fiddly fixtures with this practical device! Find more great products like this by checking out our guide to the best robotic windows cleaners. We love a good discreet remote thermostat, but if you pardon the pun, they’re actually really tricky to find. Well, this was the case until we came across the Alarm.com Smart Thermostat, anyway! This wonderful small device certainly won’t steal any attention away from your wonderfully decorated home, as all it needs to do is show you the temperature display. The rest of the work can be done from the comfort of the Alarm.com smartphone app, meaning you won’t have to waste your precious minutes walking up to the device itself and checking that everything is up to scratch. This smart thermostat certainly cuts the fuss out of thermostats, and we are all for it! With geo-smart automation and critical temperature alerts, you can’t really go wrong with this neat little device. Don’t forget to also check our guide to the best smoke detectors. Who said that a smart home thermostat had to feature a painfully boring design that stuck out like a sore thumb? We certainly didn’t, and neither did the team over at Johnson Control. All it takes is one quick look at the GLAS Smart Thermostat by Johnson Control and you’ll soon realise just how poorly-designed all retro thermostats really were. This incredibly modern design features a translucent OLED touchscreen which gives you live updates as to what work is being done. This smart thermostat will team up with Microsoft Cortana, Amazon Alexa and Google Assistant, so that literally any homeowner looking for voice assist and smart home recognition will be able to reap all the benefits with this handy thermostat around. The GLAS Smart Thermostat even has the very unique features of indoor and outdoor air monitoring, which is particularly useful for those who suffer from allergies and need a controlled environment at all times. Wow, need we say anymore? If you want to make your home smart, check out our guide to the best water detectors. We can’t get enough of the dial control that some thermostats have, which is why we’ve decided to introduce you to another intelligent thermostatwhich goes by the name of the Kono KN-S-MG1 Thermostat Unauthorized Version. Now, we’re going to be honest here; if you’re looking for a thermostat which will link up with your smart home and be controlled by voice, then this thermostat probably isn’t the best choice for you. However, if you really don’t care about all of that and you just want a smart thermostat which allows you to control the temperature while sitting pretty in your home – then click that ‘buy now’ button faster than you ever have before. There’s a certain type of homeowner which will be perfect for this thermostat, and the ones which spring to mind for us are the elderly and nomads. Basically, for anyone who doesn’t care about technology or trends or gadgets or anything of the sort will be perfect for this thermostat. With the sole purpose of making you look smart, enter a hassle-free life with a thermostat made by Kono. Our guide to the best robotic vacuum cleaners offers more smart products so check it out. We might be coming to the end our buying guide, but that certainly doesn’t mean our quality of products is going to drop. In fact, it’s only going to get stronger! Next up, we have an absolute icon in the world of thermostats from no other than Nest Heating. The Nest Learning Thermostat quite frankly has one of the most epic exteriors, which we think looks like a mysterious pod, which will be sure add a futuristic feel to just about any room. The team at Nest are the true thought leaders of the thermostat world, so please excuse us as we shed light as to why. Right from the installation process, you’re going to have assistance, as you can either self-install the thermostat yourself or get a ‘Nest Pro Installer’ to set it up for you. Once installed, you will be able to control up to 20 thermostats from the comfort of your own smartphone, embracing state of the art temperature control features and smart programming so that you save energy. If you can’t tell, we’re pretty excited about this thermostat from Nest. A lot of thought and care goes into the selection of products on our buying guides. Every single product has been through an extensive sorting process, matching up to our guidelines, feature expectations, practicality, and more. We understand that you’re likely to have a few niggling questions sitting in the back of your mind, especially if you’re about to hit purchase on the thermostat of your dreams. This is why, with you in mind, we’ve got all the handy information available for you below. As we mentioned, the products in our buying guides are selected very carefully. The products in this guide are the best of the best, meaning they have met (or gone above and beyond) our guidelines. The following three aspects were the most important when finding the best thermostats, and you can rest assured we checked everything countless times so that you’re only presented with the most perfect product. From the quality of brand to customer reviews to affordability, we’ve thought of it all. Brands - It might feel like the easier option to purchase a thermostat from a designer brand, but this doesn’t always mean that you’ll end up with the best product. Of course, well-known brands are popular for a reason, and the excellence in their products will be sure to keep you satisfied. However, when it comes to our buying guides, we understand that top-of-the-range brands aren’t accessible to everyone, as they usually come with a hefty price tag. This is why we’ve carried out thorough research into smaller brands too; the brands who are working away in the shadows yet still creating awesome products. While researching, we treated each brand the same, no matter how big or small they may have been. This not only gave every thermostat out there a fair chance, but it meant that there is no bias data in this buying guide whatsoever. Reviews - What better way to judge the success of a product than with customer reviews? It’s all well and good reading a list of awesome features that a product has, but when out in the real world, does the product live up to its expectations? We had hours of entertainment sifting through reviews, and these played a huge role in deciding which final nine thermostats made it onto our buying guide. All products mentioned were commended by buyers all over the globe, so expect to see plenty of 4 and 5 star rated products. You deserve only the best. Price - Smart thermostats have plenty of impressive technology stacked up inside them, meaning that the price tag can sometimes reflect. What you might not know, however, is that cheaper products which perform just as well are available for you to get your hands on. We kept budgets in mind when choosing the products in this guide, and we feel confident enough to say that there is a thermostat to fit any budget in this guide. So, whether you’ve been saving for this gadget for some time or just want a quick fix which does the trick; we’ve got you covered. Just bear in mind that if you’re on the hunt for a thermostat with very specific features, that the price tag may go up. 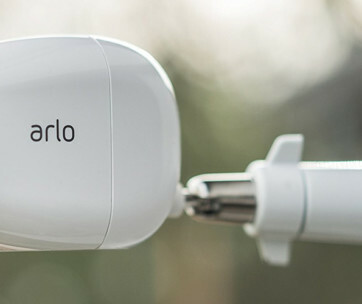 If you want one with Wi-Fi and geofencing, for example, you can be expected to pay slightly more than the thermostats which do not have these awesome features. Of course, the money you spend will all be worth it though, and the products in this guide are accurately represented with their prices. The very best smart thermostats will have a variety of different features which you’ll soon realise you can’t live without. You might not even recognise the name of some of these features, but as we start to explain what each one is, you’ll realise how epic they are. Use the following list of features as a pick-n-mix guide to establish which one’s appeal to you the most. From here, you’ll be able to make an informed decision on what features you’d like your thermostat to have. Are you ready? C-Wire - Thermostats use up a lot of power, meaning they’re going to need as much energy as they can get. Not all thermostats will require a C-wire, but it’s perfectly common for many designs to need one. Basically, a C-wire (also known as a common wire), helps to provide a continuous flow of power to the thermostat. Most of the time, Wi-Fi thermostats will need a C-wire so that all of the advanced features have enough energy to run to their best ability. If you have no problem with a wired thermostat, then a C-wire won’t be a problem, but just be aware that not all homes are equipped with one. Check if you can cater for a C-wire before making a purchase - there will be plenty of wireless options available if your home won’t allow one. Self-Installation - Are you okay with being a handyman or would you rather someone did the job for you? If you’re purchasing a thermostat online, then there’s a high chance that you’ll be expected to install the device yourself. Don’t worry though - this whole process is usually fairly simple and you’ll be given a clear guide to follow. The makers of all of these wonderful thermostats don’t expect their buyers to be qualified electricians, so you won’t find the task too much of a struggle. If you feel that self-installation isn’t the right route for you, then get in touch with your local technician; they’ll be more than happy to get the job done for you. Some thermostats even have a team of installers ready to help you; take Nest as an example, who have their very own Nest Pro Installers to give you a helping hand. Zones - Some thermostats are so smart that they even use the power of teamwork to keep your home a reasonable temperature at all times. A zoned system involves having multiple thermostats working together to control a single heating system. This means that different areas of the house will receive different treatments depending on what the temperature is in that particular zone. The zoning feature is particularly important to have if you live in a large residence or a residence which can never hold a consistent temperature throughout. Sensors - If you want a thermostat which won’t let you down with questionable temperature control, then a sensor feature is what you’ll need. Sensors are placed around the home and will act as a wireless alert system for your thermostat. When that particular area of the room gets too cold or too hot, the thermostat will be alerted to make some tweaks. Sensors are a particularly modern feature and eliminate the problem that old designs had when they wouldn’t distribute heat effectively. Motion Activation - Similar to the sensors, motion activation means that the thermostat will get to work when it senses that you, or someone else, is in the room. This is a pretty nifty feature to have for those wishing to lower energy usage, as it will only turn on when you’re using it. Another form of motion activation consists in the screen of the thermostat. 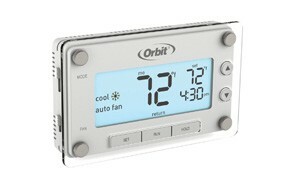 As you begin to approach the thermostat, the screen will light up and give you an array of options to work with. Once again, this is a great tactic to avoid wasting energy and means that tweaking temperatures in a dark-lit room won’t be a challenge. 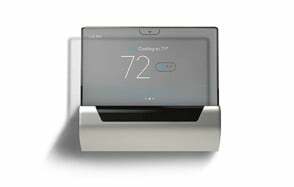 Smart Home Integration - Thermostats which are equipped with smart home integration really are products from the future. Just like the globally-known Amazon Alexa, a thermostat with smart home integration will mean that you can control all other devices in your home at the same time, usually with the help from a single app. Need to turn the heating on? No problem. How about some music? Sure. Smart Voice Assist - Gone are the days of having to walk up to a device to turn it on. Now, in our incredibly lazy and technology-riddled world, we simply have to say a command to get the desired action. The story is no different with thermostats either, as nowadays, a lot of smart thermostats will have smart voice assist, allowing you to make changes to the temperature of a room without having to move a muscle. Whether you’re cosy in bed or hooked on an epic film, smart voice assist will be your new best friend, in a completely not-so-sad way… we promise. Geofencing - If setting schedules aren’t something you’re great at or your routine differs on a daily basis, then getting a thermostat with geofencing enabled with help you to use energy efficiently no matter where you are. If you’re unsure as to what a geofence location is, it’s basically the particular area that your home falls in. When you enter the geofence area, your thermostat will be notified and will start to change the temperature accordingly. Likewise, when you leave the geofence area, your thermostat will understand that no one is home and cut back on the energy being used. Who knew that a smart thermostat could take such great care towards your wellbeing? Q: Can you install smart thermostats by yourself? A: The majority of smart thermostats require self-installation, meaning you’ll be expected to follow a guide and set up the device yourself. This saves time and money outsourcing an electrician to do the job for you and thanks to the handy instructions, self-installation will be accessible for everyone. Q: Do smart thermostats save you money? A: If your smart thermostat has a scheduling feature or geolocation enabled, then it will be sure to save you money in the long run. In fact, many thermostats claim that you’ll get your money back within just two years of use! By using a thermostat, you are in full control of how and when energy is used around the house, meaning when it’s not needed, it won’t be circulating. This means that you aren’t throwing money down the drain when you leave the house, as your thermostat will know when to turn everything off. Q: Does lowering the thermostat save money? A: Yes - lowering the temperature on your thermostat will help you to save money. When you bring the temperature down to a lower setting, it will be using less energy to heat your home, meaning you will be cutting down on electricity use and therefore saving costs. You might find that the savings from doing this aren’t anything too drastic, but every little bit helps, so it’s worth lowering your thermostat whenever possible. Even if it’s just by a few degrees, your electricity bill will show the difference. Q: Is it better to turn the heat off or down? A: Although it might seem like the logical option to turn the heating off when you leave the house, it’s actually more practical just to turn the temperature down. Unless you’re going on vacation over a long period, turning the heating off will actually end up using more energy as it will have to reboot whenever you get back in the house. The thermostat will be working hard to get back up to a more comfortable temperature, and as a result, will be wasting both time and money. So, for a more comfortable experience and to avoid the shock of entering a freezing home, turn the heating down rather than off. Q: What should you set your thermostat at in the winter? A: The winter months are going to be when your heating is at work the most, so it’s important to figure out the setting which will keep you toasty but not result in an eye-watering bill each month. Finding the best temperature will depend on your preferences, but as a general rule of thumb, it’s recommended to set the thermostat to anything between 68-72°F when someone is at home, and 62 to 66°F when the house is empty. These temperatures should give you a comfortable way of life without having to worry about frostbite or overheating.